*Note: I totally typed up this blog last night, but fell asleep before I hit the Publish button. Fail. Remember wayyy last week when I said I was not only going to workout daily, but eat healthier? Well, a weekend of indulging for my birthday sort of ran over into the start of this week. I ate more than half a bag of Tostitos (with cream cheese/salsa dip) AND a single serving bag of Sour Cream & Onion Lays with my sub tonight. Wtf is wrong with me?! I have no willpower against these bad boys. Lucky for me, my wellness class tonight provided an intense circuit workout. I’m sure it didn’t come close to burning all of the calories I consumed, but I have to say that it felt good to eat out of actual hunger after a workout, rather than just eating out of boredom while sitting on the couch. When I signed up for fall classes, I had no idea that a class called “Wellness” would actually be… physical education. But quite honestly, it’s been kind of great. The start of the semester meant meeting every Monday night to do workouts such as yoga and Tae-Bo. After a few weeks, the class format changed to every other Monday night. Still a great way to start out every other week! Our workout tonight consisted of stations with spinning, jumping rope, ab exercises, burpees, mountain climbers, and strength exercises. Yay! Well-rounded workout to start off another week of weekday workouts! 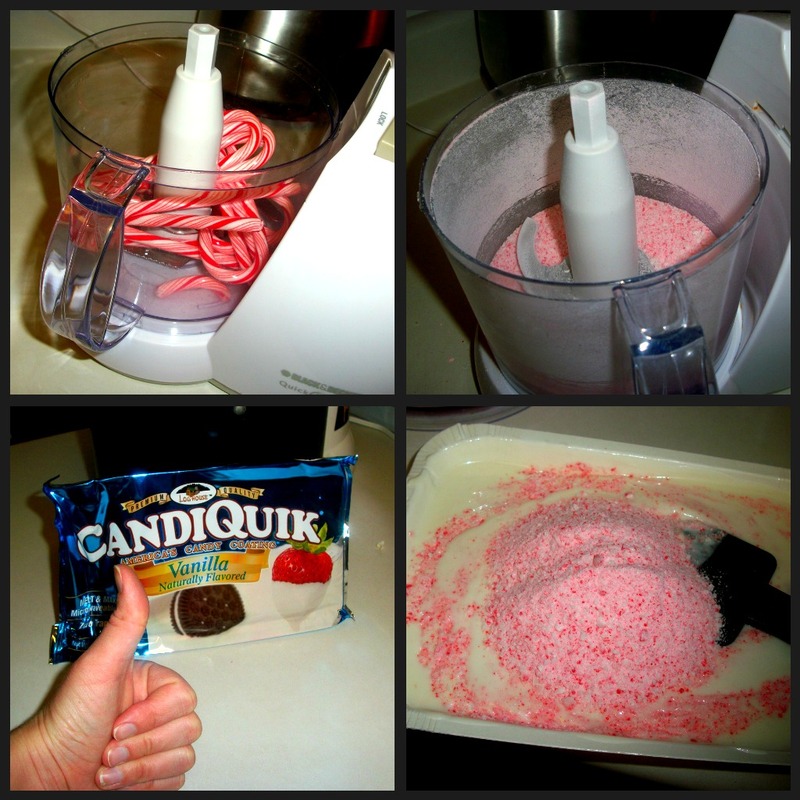 -Candiquik is this awesome, micrwaveable candy coating. Seriously love it. Mix popped corn with pretzels in large bowl. Chop candy canes in food processor until very fine, dust-like. Melt white chocolate in microwave or over double boiler. Add half of crushed candy canes to melted chocolate. Pour chocolate over popcorn and pretzels. Lay mixture on baking sheet covered with parchment paper. Sprinkle with remaining candy cane dust. Allow to harden about one hour. Break off pieces as desired. Package and give to friends/relatives before you eat the whole batch. Tomorrow I have a date with all things shown in this picture. Okay, let’s swap the garbage can for a certain cute puppy. 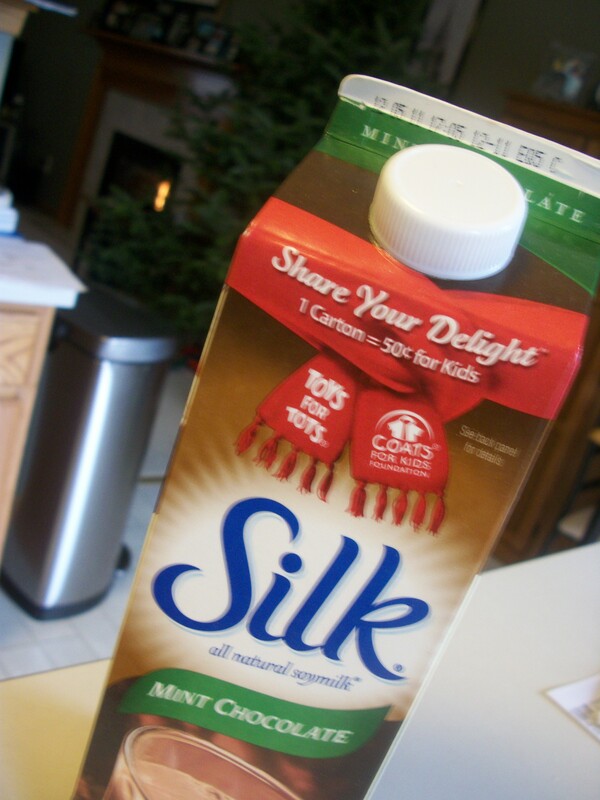 And add coffee to mix with that Mint Chocolate Silk. Tomorrow is Christmas decorating day! How do you decorate for the holidays? Over-the-top, tinsel and lights everywhere? Or the simpler the better? 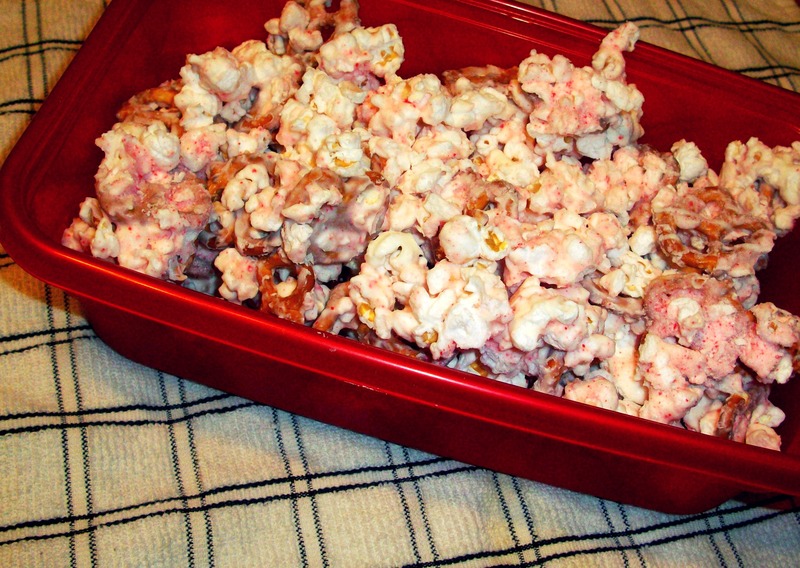 Oh my goodness…this popcorn needs to happen in my kitchen ASAP. Yum!! One thing I would suggest is adding a bit of salt to the melted chocolate. Just stir it in with the crushed candy canes. The salt on the preztels is what really made this amaze-balls. Since the popcorn was air popped, it wasn’t salted at all so that part stays really sweet. 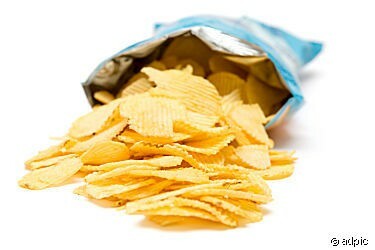 I guess it’s probably just a personal preference, but I love me some salty-sweet! Next Post Oh, Christmas Tree. Oh, Christmas Tree.